To kick off the 2018 Till & McCulloch Meetings in style, the Stem Cell Network and CCRM will be hosting a welcome reception on the evening of Sunday November 11. 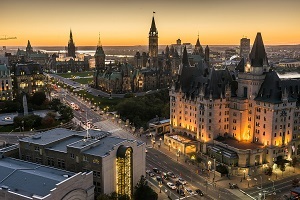 Join our speakers and conference delegates as we gather in the Governor General Rooms at the Westin Ottawa Hotel from 6:00 PM to 8:00 PM, for light refreshments, drinks and conversation. Register for this event separately when completing your registration for the conference. There is no additional cost to attend. We hope you will be able to join your colleagues and help us celebrate the 2018 Till & McCulloch Meetings.